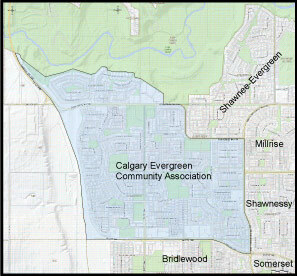 Do you live within the Calgary Evergreen boundaries and want to purchase a membership? ​If so, please download and fill in the form below. You can download the PDF form and mail it in along with your cheque. Our typically processing time is two weeks or less. If you prefer, you can fill out the form and bring it our next event and purchase your membership in person. Alternatively, if you prefer to purchase your membership online, use our PayPal option. PayPal allows you to use your PayPal account or your credit card to purchase your membership. We accept Visa, MasterCard and American Express. NOTE: Cards with chips typically don't work with PayPal. If you only have chip, then you may have to use the membership form above and mail in your cheque. We apologize for this inconvenience. To pay by credit card, once you are on the PayPal site, just below the "Pay with your PayPal Account" option you will see "Don't have a PayPal account?" link. Click on that and it will direct you to the credit card option. But why should I purchase a membership? CECA actively reviews and takes appropriate action (including open houses) regarding current and future area developments (i.e. land use, building development, screening fences, playgrounds, etc.). We also lobby on behalf of the community for concerns like traffic, safety, and awareness. Trico Centre: Family swim for $14 every Friday 7-9pm (normally $22). Your CECA membership card is also accepted at registration in lieu of the annual $30 TRICO Community Support fee you would otherwise have to pay to receive TRICO's 20% Community Partner discount. Cloverdale Paint: Present your community association membership card to receive Wholesale pricing on paint and accessories. Your Window Guys: Present your membership card to receive $20 discount off exterior window cleaning, $20 off interior window cleaning, $20 off gutter cleaning and $20 off pressure washing (house exterior siding.) Please read more about this company on our For Members Only page. The Branch Manager Tree Experts: $50 off your tree service if you send photographs of your tree before scheduling your appointment. More information about this company on our For Members Only page. Ghislaine's Gems: Free class with Ghislaine, a saving of $35. For more information, please visit the For Member's Only page. WordsWork! Communications Inc.: 50% discount on your one-hour consultation, a $50 value. Please read more about this company on our For Member's Only page. CECA membership is required when registering you or your child for some sports. Planning for future community facilities that are sustainable and meet the needs of ALL EVERGREEN residents. Possible amenities include a community centre, skating rink, water park, tennis courts, basketball courts and an outdoor amphitheatre. Be a part of the process! To support these benefits, memberships are $20 for 12 mos. Memberships can be purchased by filling in the PDF form and mailing the form and cheque to the address on the bottom of the form. If you are paying by cheque, please make it payable to the "Calgary Evergreen Community Association". Our online payment option using PayPal or credit card will be available soon. The CECA membership is valid for twelve (12) months from the time of purchase; minimum purchase 12 months. You can help Evergreen be a truly "green" community by providing your email address on the membership form. Email addresses are automatically added to our low volume mailing list thereby reducing letter mail. You can opt out of the list at any time.